Lock in a great price for Cola Beach Exclusive Tented Resort – rated 9 by recent guests! Staff were great! Friendly and accommodating. Location was prime. Tents were very clean and well taken care of! Paradise beach. Quiet, not many people. Not many kids. Excellent service. Cozy glamping. Lovely Small quiet beach with nearly No people. Charming tents and Local fishermen. Friendly and decicated manager and staff. The Food fresh and the Most autentic Indian Food we ever had. Walking distance to Blue Lagune. 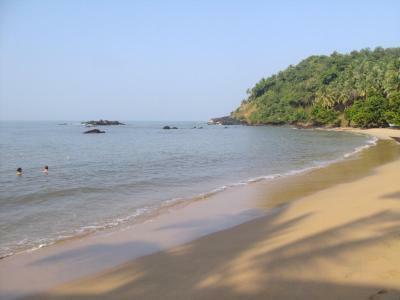 Wonderful location on one of the prettiest beaches in Goa. It's quite removed from the town so it's prefect for those looking to get away from cities. A beautiful choice if you want to go somewhere and escape all aspects of the modern, jam-packed hustle and bustle of everyday life. The only communication the we had with the outside world was the perfect wi-fi offered, which amazed me, considering that the resort in placed in such a secluded location. The onsite bar and restaurant serve food and alcoholic drinks up until 11pm. Although this would be a location for early risers and early nights. There are no other bars, restaurants, ATM's etc. nearby and you must drive here via a dirt track - yes - its that secluded. Accommodation is perfect size for a sharing couple and each tent has it's own en-suite. This offers the perfect 'glamping' experience! Location amazing and staff super friendly and helpful . Secluded, quite, beautiful a real joy to be there. Paradise and did not want to leave. 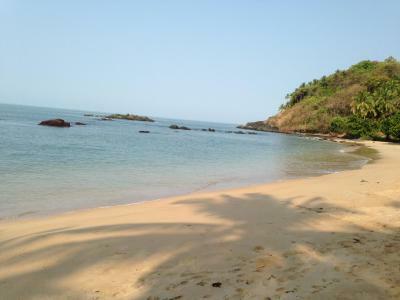 Very relaxing and a real taste of Goa. Located on the Cola Beach, Cola Beach Exclusive Tented Resort offers tented accommodations and features a 24-hour front desk to assist guests at all hours. Free WiFi access is available. Each room here will provide you with a balcony and a seating area. Featuring a shower, private bathroom also comes with free toiletries. You can enjoy sea view from the room. Extras include a desk, bed linen and a fan. 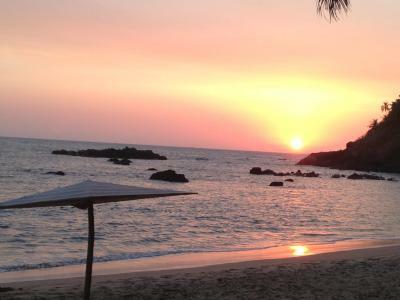 At Cola Beach Exclusive Tented Resort you will find a barbecue facilities and a bar. Other facilities offered at the property include a tour desk, luggage storage and laundry facilities. An array of activities can be enjoyed on site or in the surroundings, including fishing. 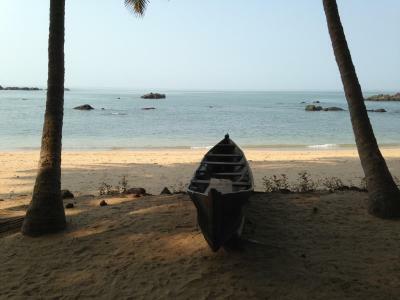 The bed and breakfast is 4.3 mi from Agonda beach and 8.7 mi from Palolem Beach. 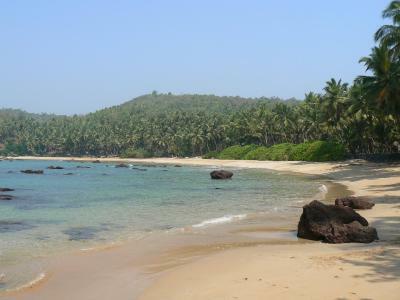 The Margao Railway Station and Margao Bus Station are both 19 mi away while the Goa International Airport is 32 mi away. 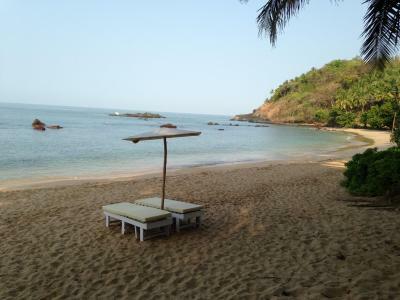 When would you like to stay at Cola Beach Exclusive Tented Resort? 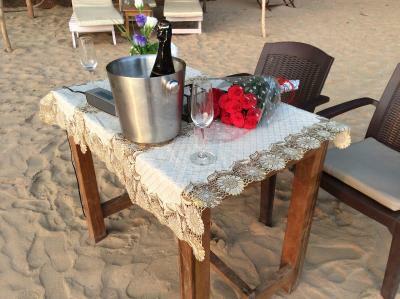 House Rules Cola Beach Exclusive Tented Resort takes special requests – add in the next step! Would be Nice if it was possible to Pay with Credit card. I was NOT a tent. 6 of us, one couple had a tent and other two couples had a shed with a canvas roof ! Booked well in advance too. Because it's so remote, it was expensive if you did want to go into the city. Also, the beach is small, so there wasn't much walking in the area. Also, it's worth noting that the price is much higher than in nearby Agonda (although they are very different experiences). The tent tends to get a little bit damp. Cons: Based on the price per night the facilities provided are very minimal. No value for money. Commute to the location: the taxi fares are too high it applies to every location in goa if you are hiring a taxi. The directions on offer via google maps are slightly off, so be sure to contact the owner in advance. The food on offer was not as good as I expected, particularly when you consider how expensive this accommodation is compared to other places in Goa. I would stay here again, however I think the accommodation is slightly overpriced. Being picky I would say a bit rocky in the water making it tuff to swim but nothing major . A little difficult to find, signs could be better. Room in need of an update - it was a wee bit shabby. The staff, particularly Vikson, were excellent, nothing was too much trouble. I felt very safe. The location is remote, beautiful, peaceful. Highly recommend it, but expensive in comparison to Agonda. Vinzon, the manager, was a delight. He was most helpful and gracious. The food was served with love and the atmosphere was perfect for relaxing.